Hobie Forums • View topic - What size standard cooler fits on the rear? What size standard cooler fits on the rear? Post subject: What size standard cooler fits on the rear? Hi I was wondering what size cheap generic cooler would fit on the rear of the kayak. 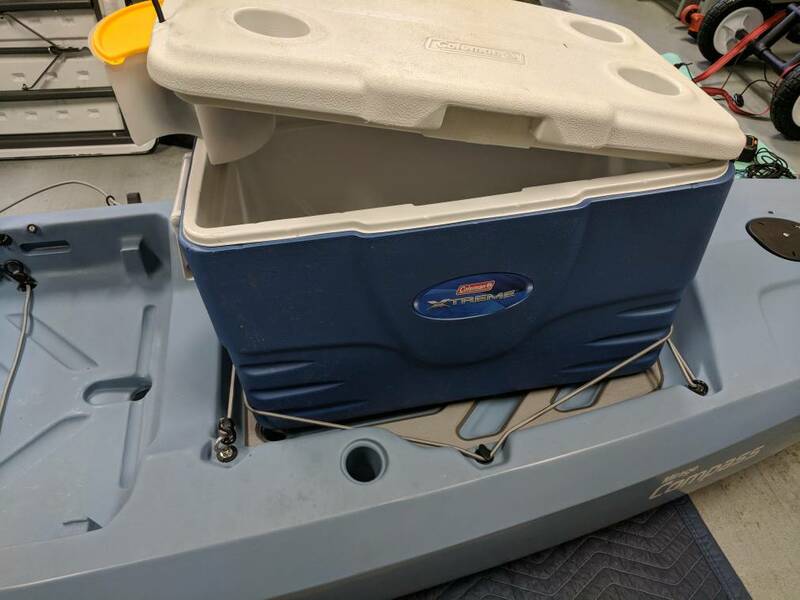 Anyone have a cheap Coleman or Igloo cooler? I just ordered my compass and I am trying to find the largest cooler that will fit comfortably. is 48 quart to big? Post subject: Re: What size standard cooler fits on the rear?